This is the Visa Infinite Exclusive, a credit card made out of gold and embellished with diamonds and pearls. 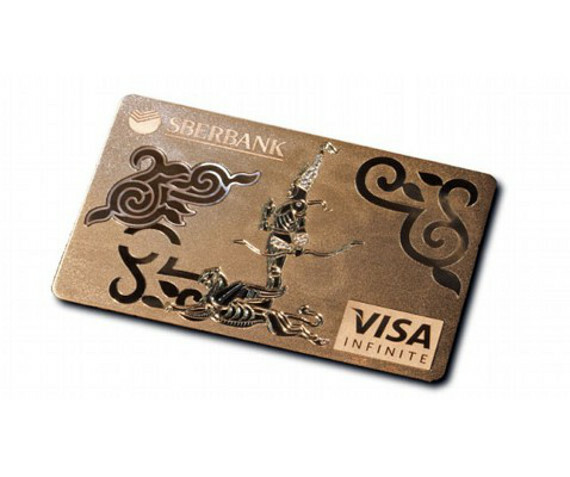 The limited edition luxury card is being offered by Russia’s Sberbank. You’ll have to fork over $100,000 to be a cardholder, with $65k going toward the making of the card, and the remaining $35k is deposited into your account.